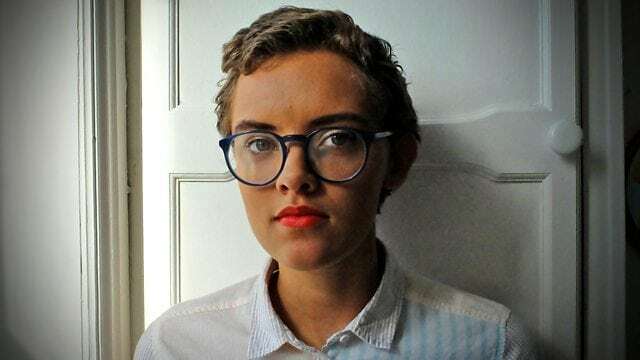 Ruby Tandoh is a British born baker, blogger, a former model, and author. She hit limelight when she came out as the second runner-up behind Frances Quinn in the 4th season of The Great British Bake Off contest in 2013. She is known for being self-critical and vitriol yet gallantly defending herself from criticism of others. She was born on the 4th of July 1992 in Essex, England. Her dad worked with the Royal Mail while her mom was a school administrator. Ruby Tandoh as a teenager began modeling for some brands and during her time in college, she also picked interest in baking and this interest is without a doubt what got her into competing in the The Great British Bake Off reality TV show. In 2013, she featured as a contestant in the show which in the past has seen James Morton as a contestant. The show is produced by Love Productions to encourage amateur bakers to compete among themselves, their skills are judged by a panel of judges who then employ the use of an elimination process until a winner emerges. Ruby later moved on, to work with Television stations like the BBC and ITV. From there, she got yet another job as a food recipe columnist with the Guardian which she did for sometime before she later quit in June 2018 citing the toxic nature of food culture and elitism as her major reason. Being a prolific writer on the subject of baking and culinary arts, she has written about three books: The Baking Book, published in 2014, Flavour: Eat what you love, published in 2016 and Eat up Food, Appetite and Eating What You Want published in 2018. Furthermore, she has been actively publishing on the zine ‘Do what you like’ which she co-founded with her partner Leah. There is really not much on record about her parents other than they are Britons, her father worked with the Royal Mail while her mum was a school administrator. Similarly, it is a known fact that her grandfather is from one of the West African countries – Ghana. Moreso, she is said to have two younger brothers and a younger sister. Her siblings are named Curtis (born in 1999), Noah (born in 2005), and Rosa born in 2003. On the 2nd of April 2015, Ruby announced on Twitter that she was gay thereby debunking earlier claims by critics that she was flirting with Paul Hollywood, a celebrity chef and one of the judges in The British Bake Off reality show in 2013. She revealed that she was in a relationship with her long-term girlfriend, Leah Pritchard with whom she co-founded ‘Do What You Want’, a magazine publication that tackles issues about mental health. The proceeds from the zine publication are given to charities. Ruby and Leah finally tied the knot three years after her Twitter revelation. They got married on the 31st August 2018 in Sheffield, South Yorkshire with a celebratory reception at the city’s Abbeydale Picturehouse. She was decked in an old-fashioned white dress which went well with her sandal and prepossessing bouquet while Leah donned on an eccentric blue suit with a well-designed shirt and a brogue shoe. The occasion was well attended by the couple’s few close family and friends, they looked good and enjoyed every bit of their day as they shared their first dance and kiss, pictures of the occasion were later uploaded by Tandoh on social media and within a short time accumulated more than 12,000 likes from her fans who wished them well on their marital journey. She has blonde hair and greenish blue eyes. There are no clear records on her height and weight. She is very active on social media with numerous followers on Twitter over 108k and Instagram with more than 52.4k. She admitted to having eating disorders earlier in her life.